Marc Andreessen recently told Brian Koppelman venture capitalists seem to have an unlimited amount of ideas to pick from these days. Ideas are the easy part. The hard part is executing on those ideas. The role of sales is not to sell something people don’t need. Essentially it’s to help someone buy what they do need. Venture capital has done a wonderful job in their sales role as an industry. We constantly hear VC success stories of contrarian bets made in companies or ideas others laughed at. 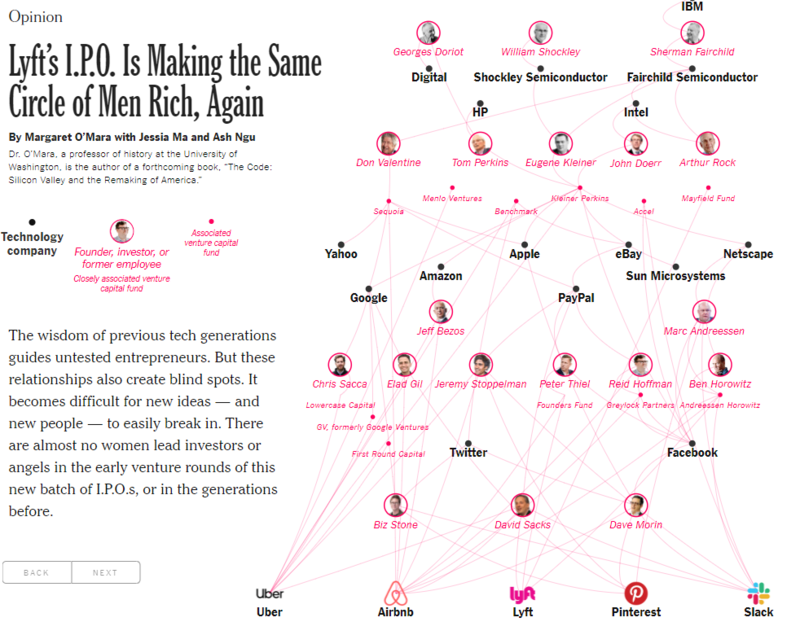 But can all these venture capitalists really be the contrarians they claim to be? It’s basically the same group of wealthy men funding these projects. I’m not trying to take anything away from their accomplishments here. They did take the risk to pony up the capital for these unproven ventures. And there were skeptics about each of these companies. But there are so many opinions on the internet these days that anyone can feel like a contrarian if they look hard enough. Venture capital may have once been the scrappy upstart but the funds in this space today are much more about networks, connections, and access to the right people. The contrarian angle makes for a more inspirational story but it’s hard to make that the main argument anymore. It’s just a story people like to tell because it sells better and makes for better business books. There’s nothing wrong with telling a good story. Stories can inspire and motivate large groups of people to do things that would seem unimaginable. “I’ll just wait until the dust settles until I put my money back to work in stocks.” This one always sounds great in theory until you realize (a) there is never an all-clear signal from the markets for the perfect time to invest and (b) the best time to buy is typically when things feel the most uncertain (see also: when the markets are down). “I’ll just start saving later when I’m more prepared.” The best time to start saving money is always right now because there will always be something later in your life holding you back from delaying gratification if you wait too long. There are always new responsibilities that crop up as you age so even making more money isn’t always a savior for setting aside more money later. It’s important to create good savings habits at a young age, even if we’re talking about small amounts of money. “I need to buy a house because that’s the next step in the process.” Many young people are led to believe they need to follow a set path in life — go to college, get married, settle down and buy a house, etc. Buying a home can be an intelligent financial move for young people but not always. Renting can offer more flexibility for those who may need to relocate for a new career path or simply save some money until they’re ready to take on such an enormous liability that comes with dozens of ancillary costs. You don’t have to buy a starter home just because everyone thinks you should. People who tell you to follow your passion are already rich. They have doggedly pursued a path and have been obsessed with success for a long time. They want to sound inspirational and give you a sound bite, because the truth that success requires 60-80-hr weeks for several decades doesn’t get applause in graduation speeches. Figure out what you’re good at first and you’d be amazed at how easy it is to grow into your passion once you excel at something. “I’m a successful person so I should be a successful investor.” Every investor has their own unique blind spot but overconfidence is by far the biggest hurdle for the wealthy, intelligent, and well-educated. Markets are one of the few places where you can’t simply try to outsmart everyone else around you to succeed. Success in one endeavor in life has little bearing on your success in the markets. Emotional intelligence will always trump book smarts when it comes to managing your money. “Young people are screwed because of baby boomers/the economy/the job market/the price of avocados.” Yes, young people may be at a disadvantage when it comes to student loans and the cost of housing but a defeatist attitude only makes things worse. Blaming the system, the older generation or a bunch of economic data points will never help you get ahead in life. And the averages have nothing to do with your particular circumstances. You control what you can control and make the best of your own situation.